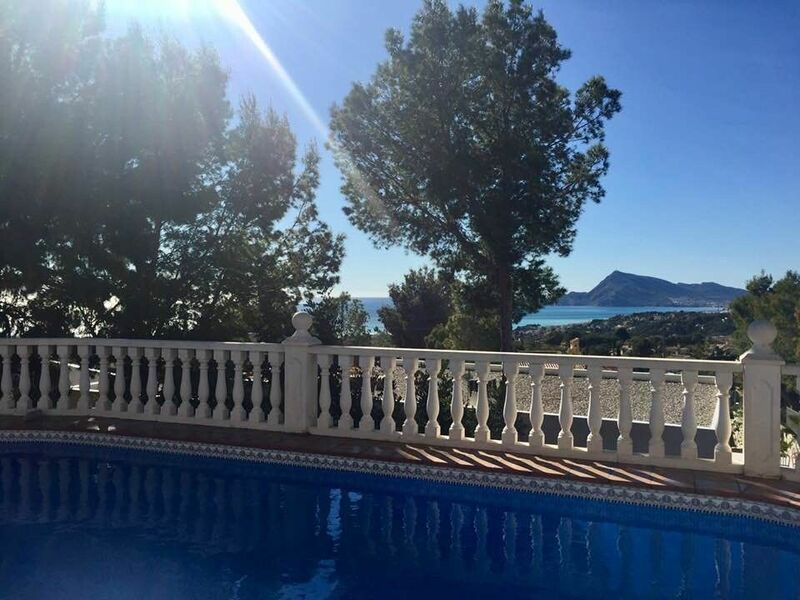 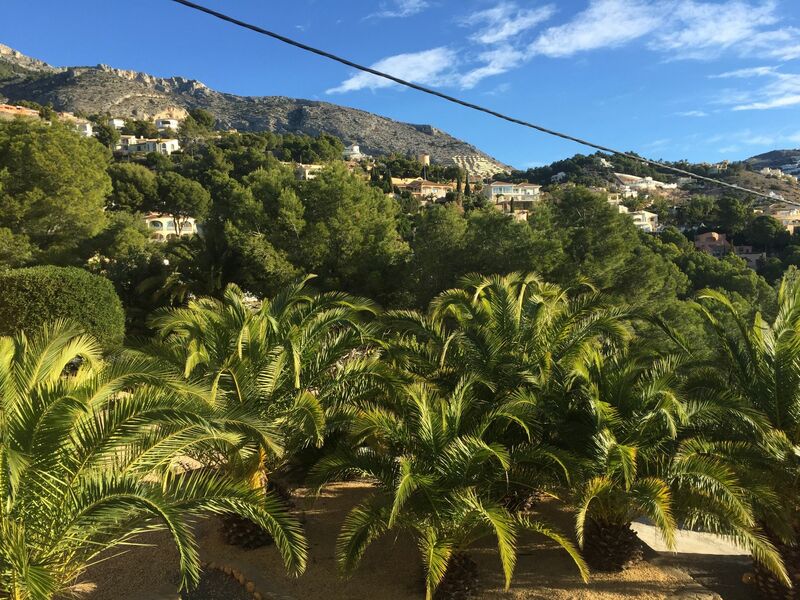 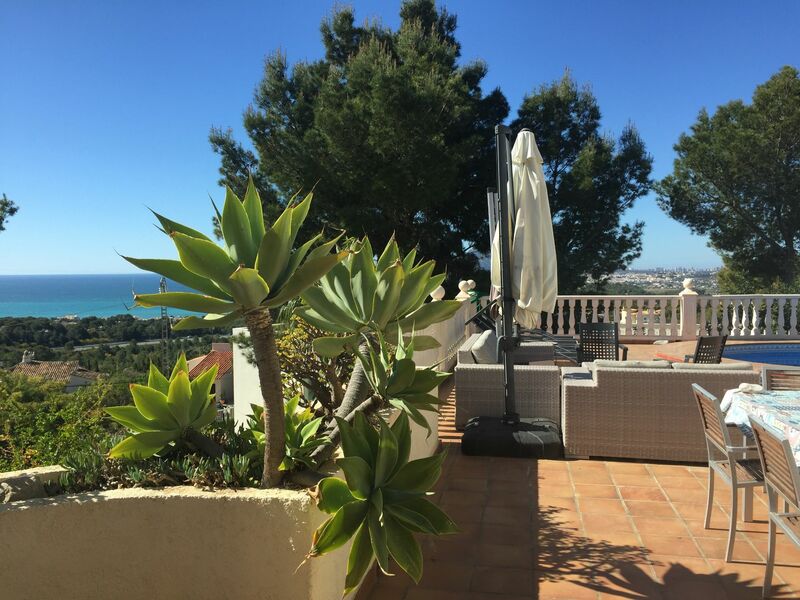 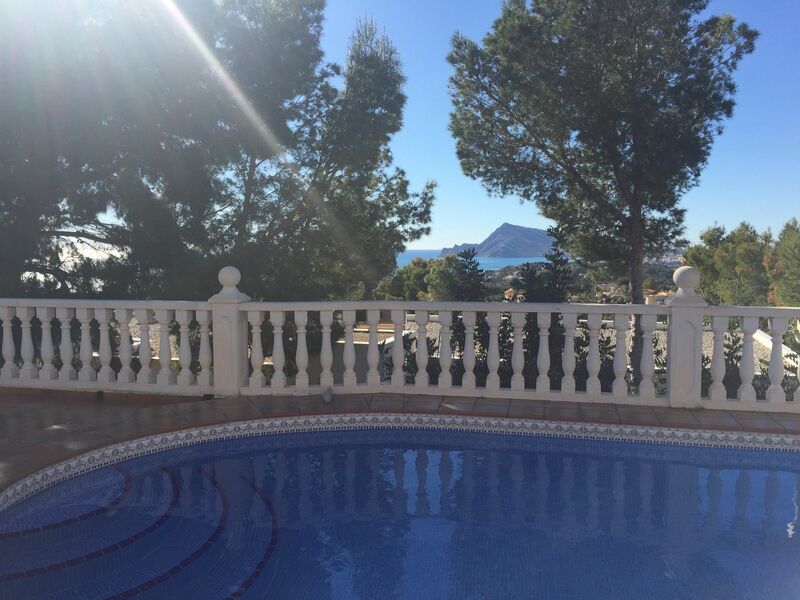 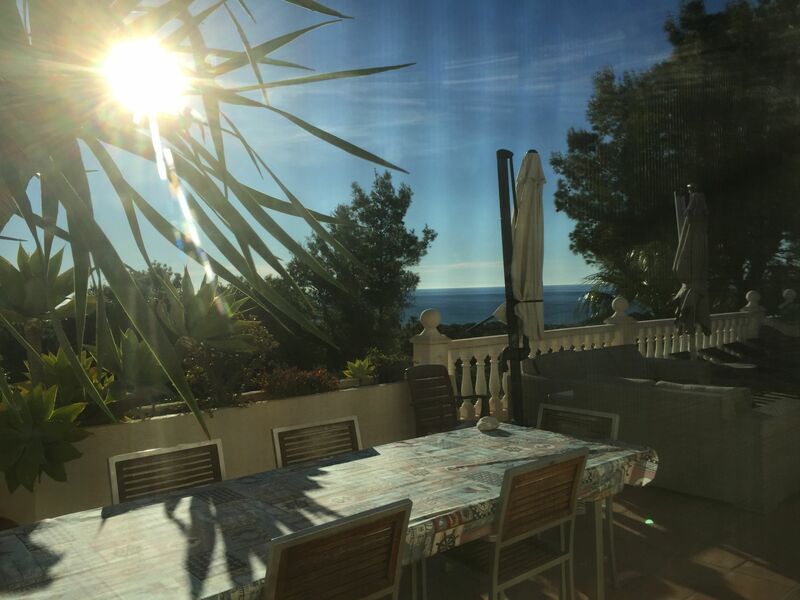 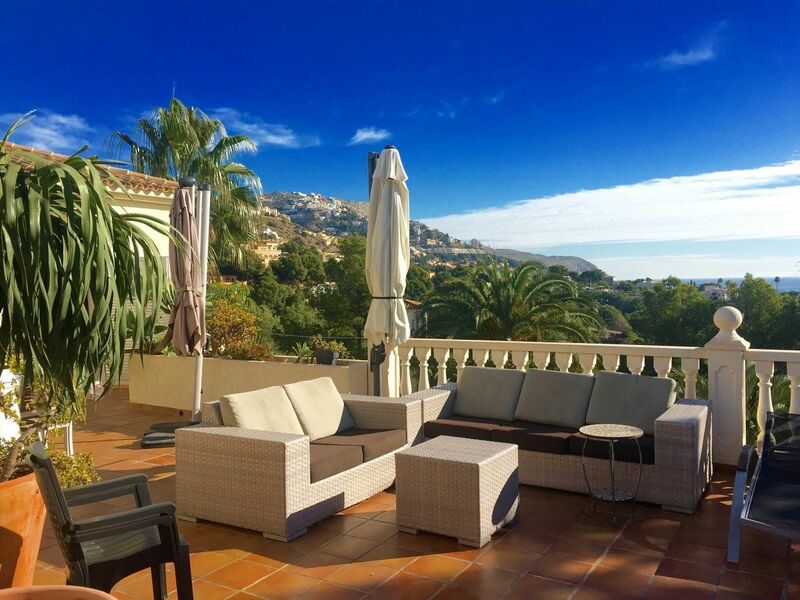 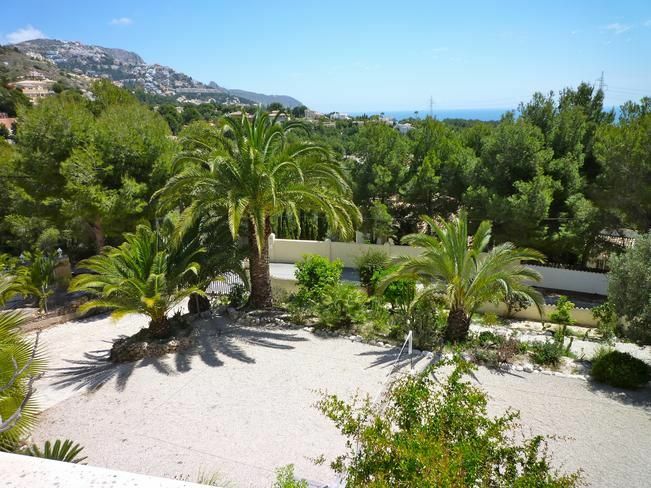 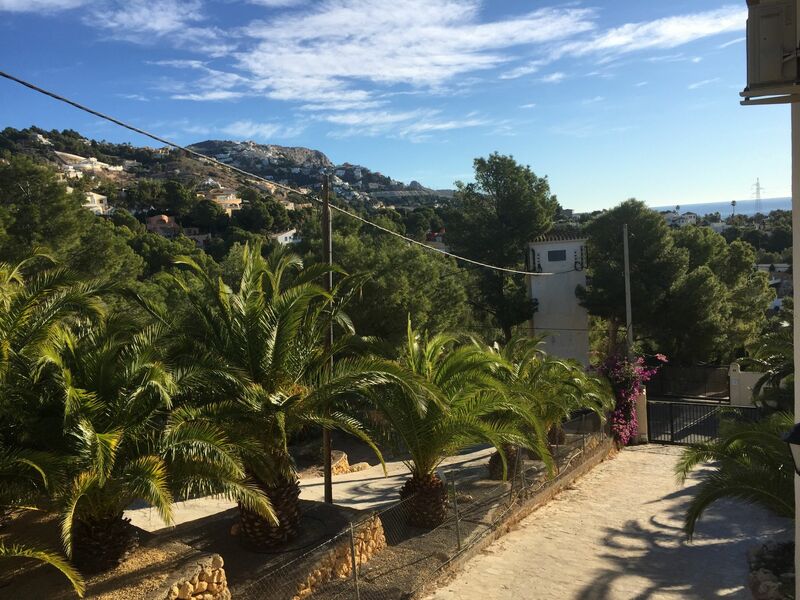 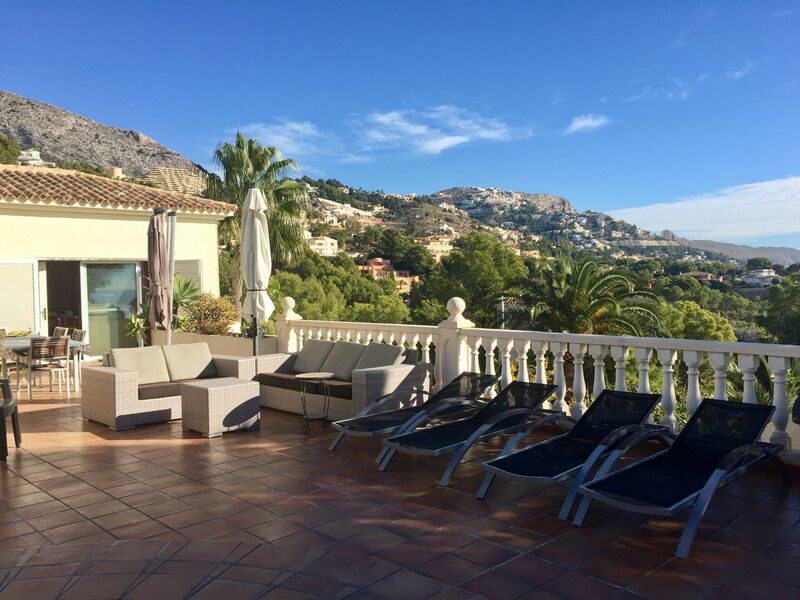 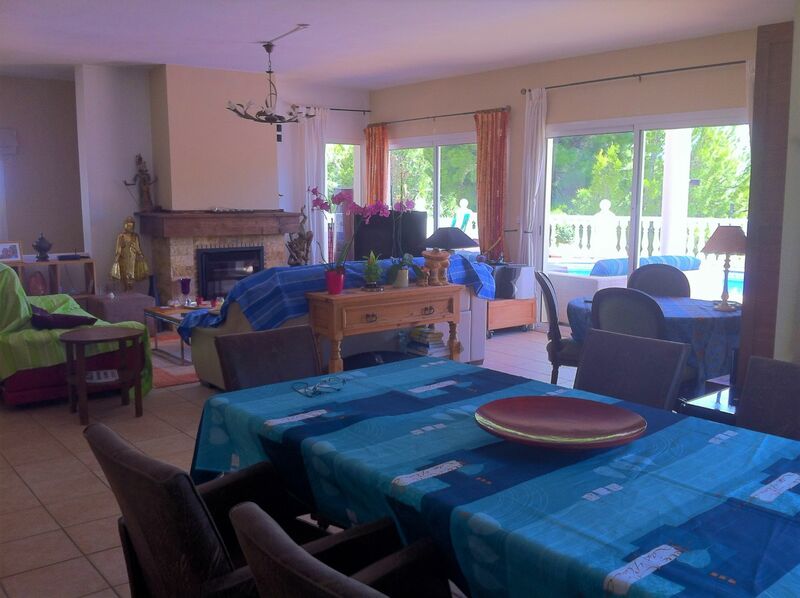 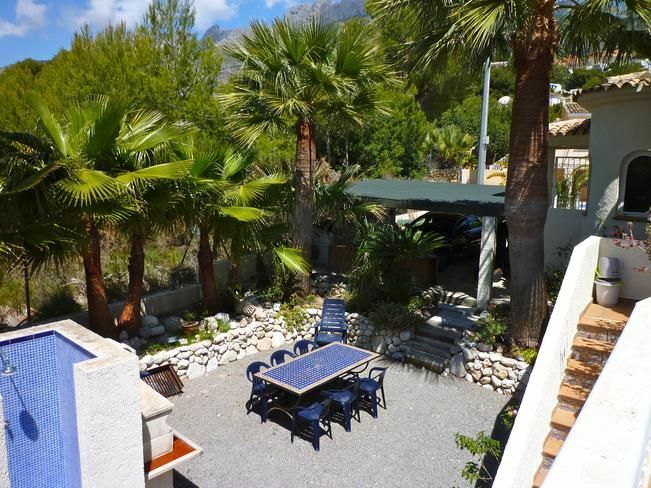 This spacious family villa is located in a quiet residential area next to Altea. 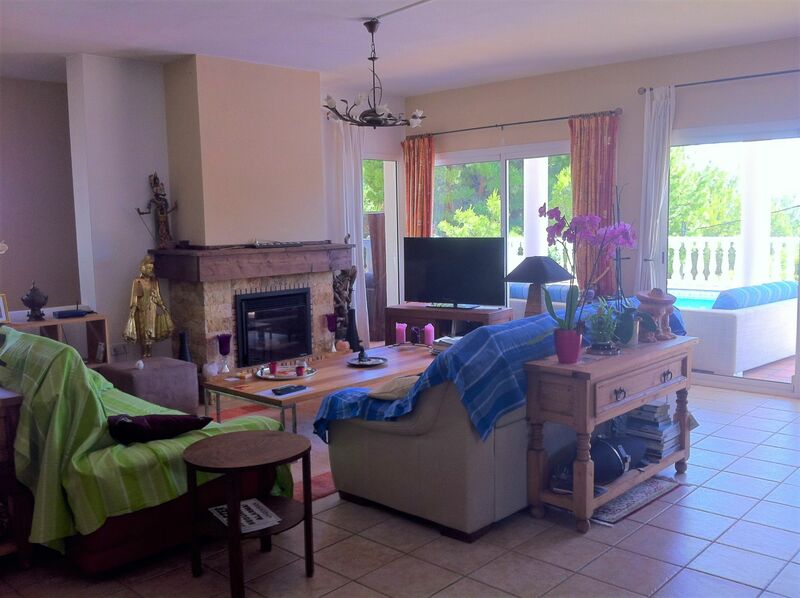 On the upper floor there is a very large living room with a large open kitchen. 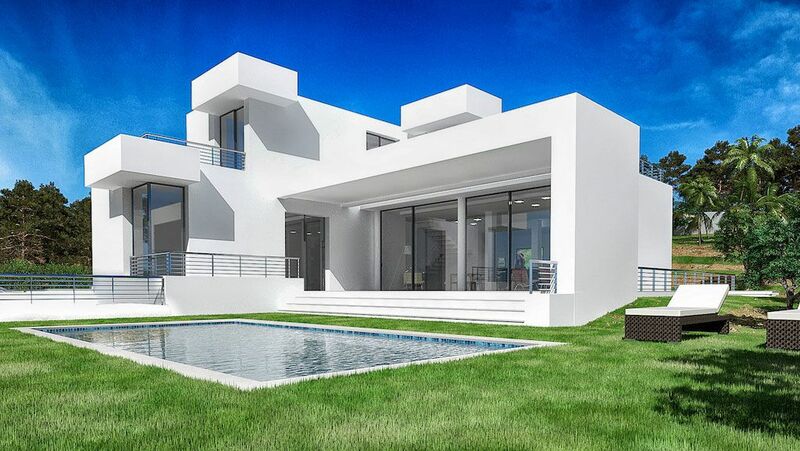 The sliding windows lead to the beautiful geometrically shaped pool with a partially covered terrace. 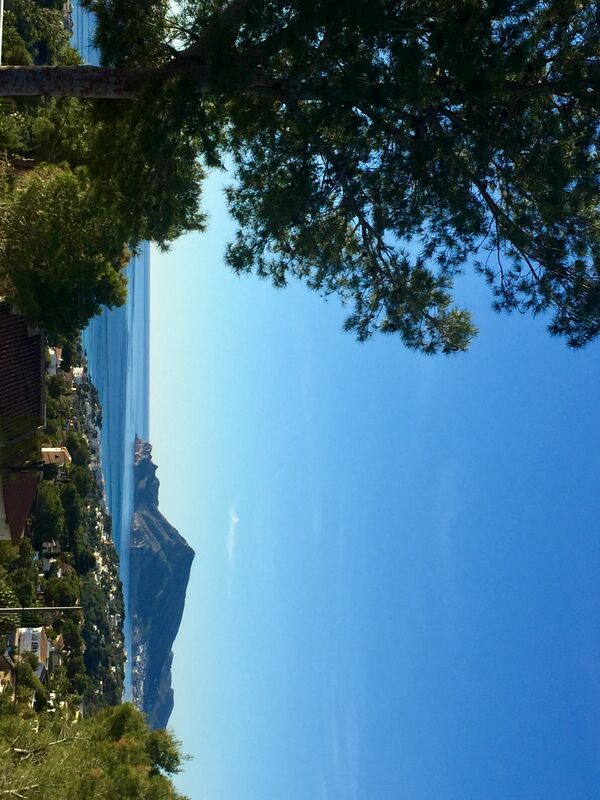 The panoramic view of the Mediterranean Sea is truly spectacular. 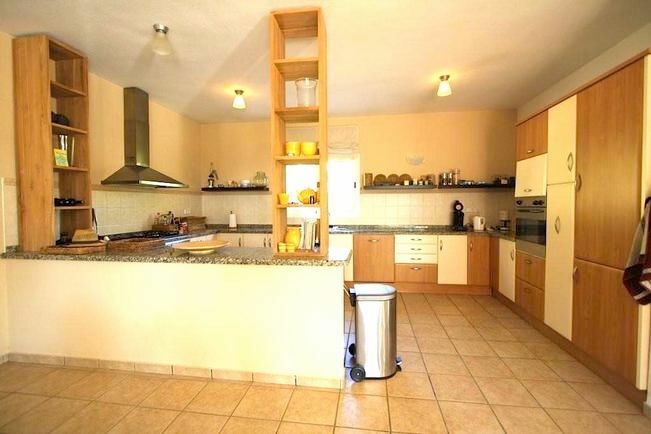 On this floor there are also two bedrooms, a separate bathroom and a practical laundry room. 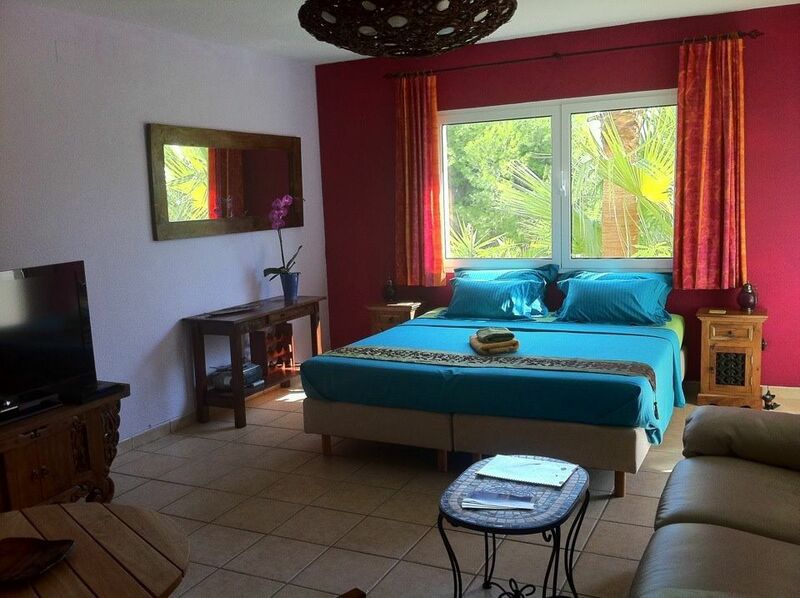 On a lower level there is a studio with a kitchenette and a separate bathroom. 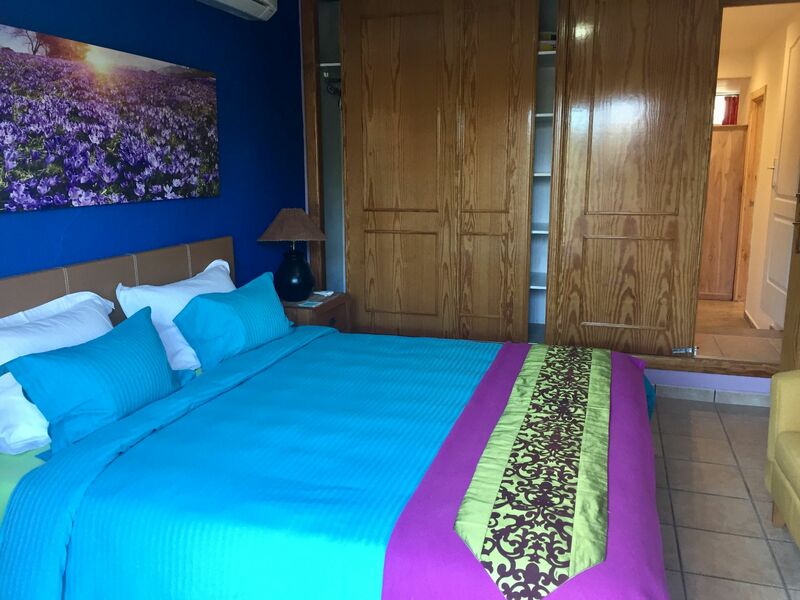 On this floor there are also four bedrooms, three bathrooms, two of them en suite and a nice terrace with easy maintenance garden view. 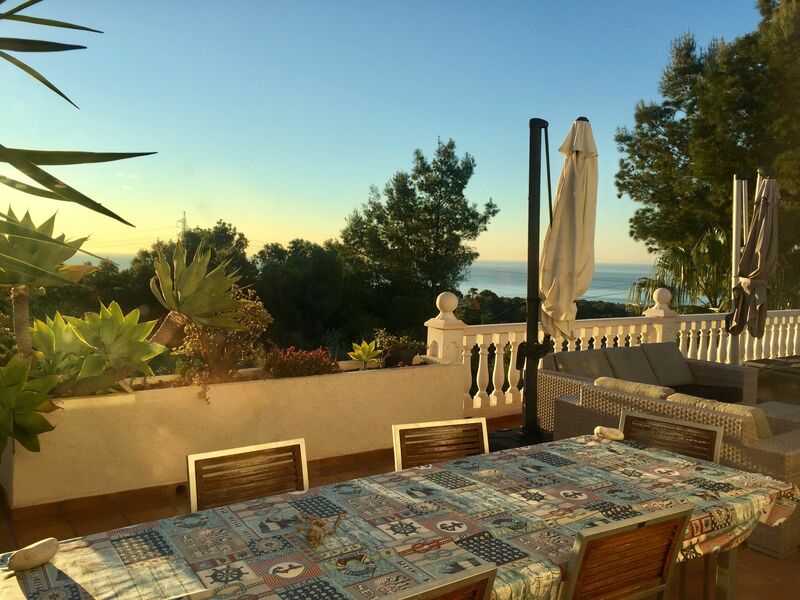 Special mention to the barbecue with dining area and sea views. 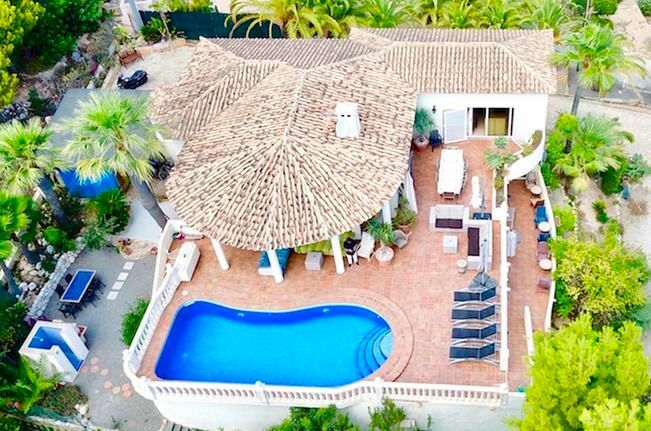 The villa has a large garage and parking space on the plot. 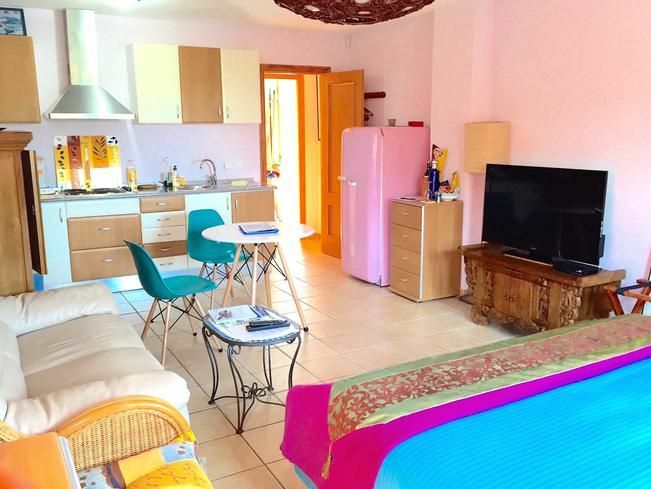 It is fully equipped with air conditioning, central heating radiators and pellet stove. 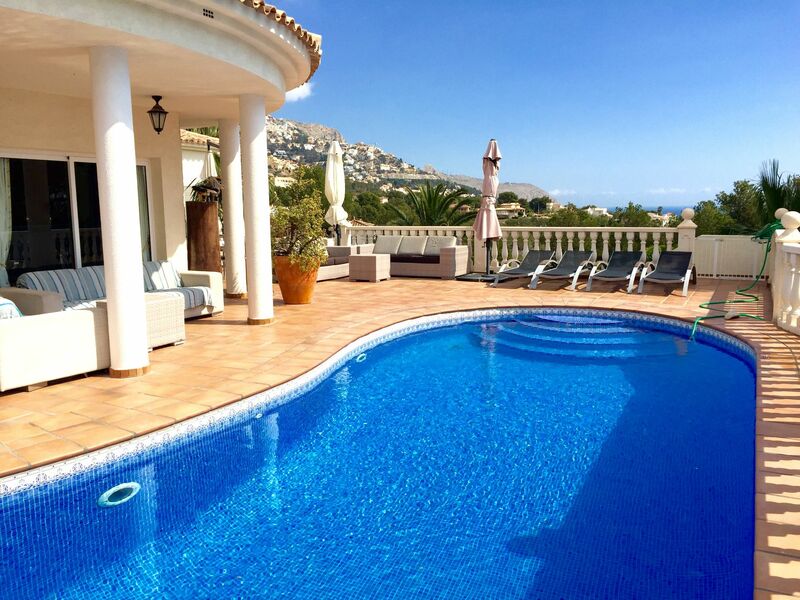 The solar orientation is perfect and both the pool and the terrace enjoy the sun throughout the day. 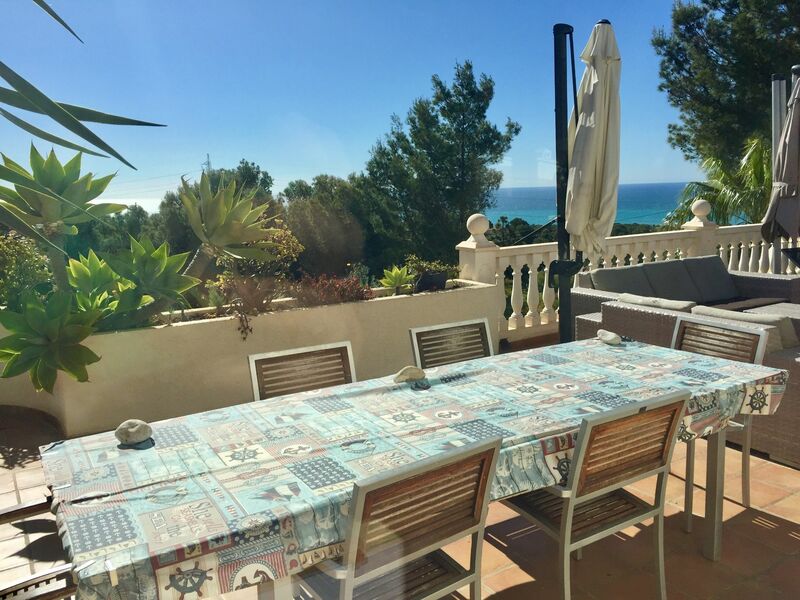 The villa is ideal as a holiday home and as a permanent residence. 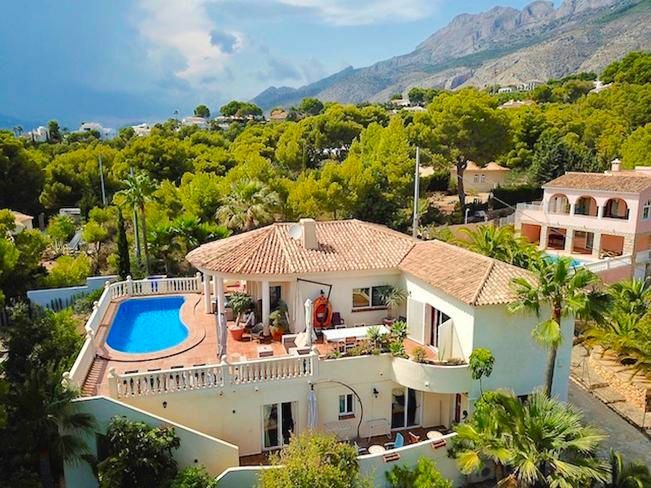 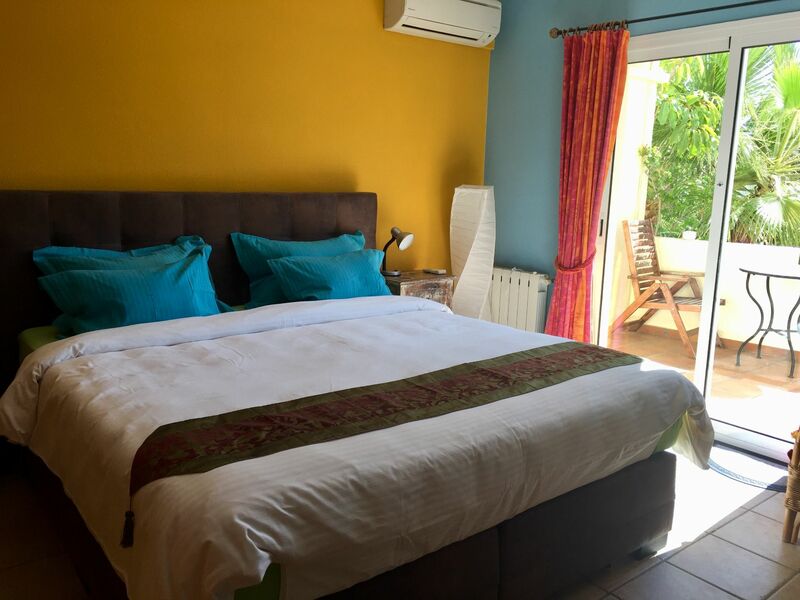 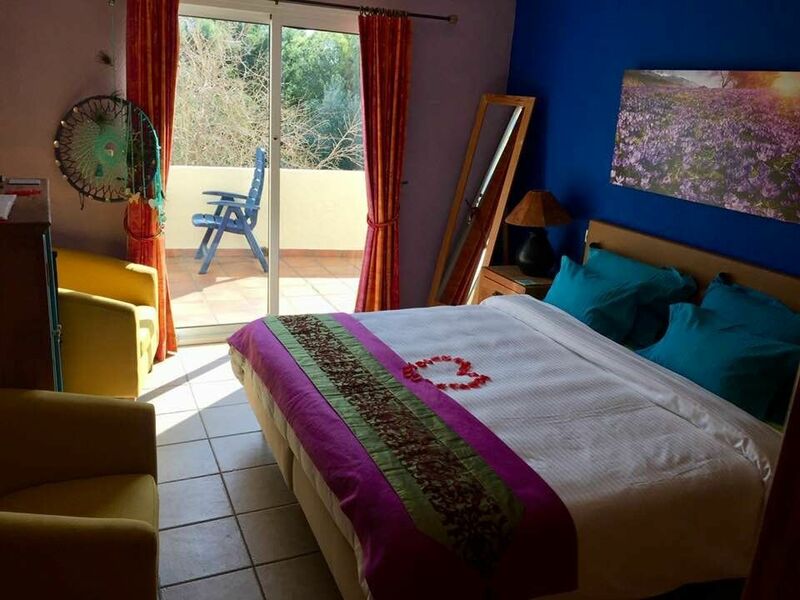 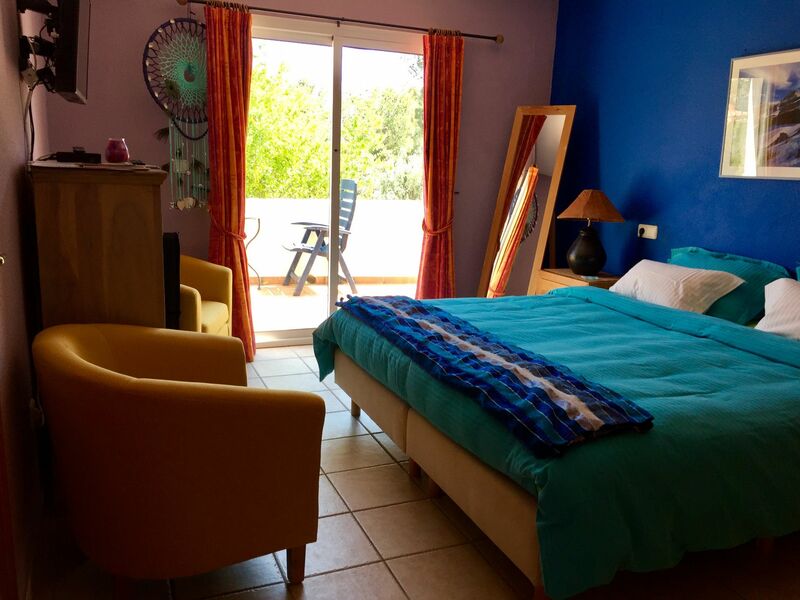 It has the necessary permits for vacation rentals, which makes this property a golden opportunity for those who wish to rent some rooms in the house.